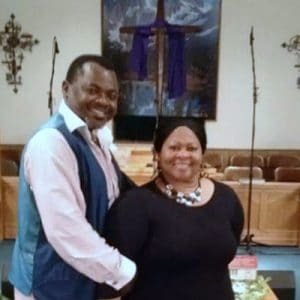 ​Kingsley and Laura (Mosley)​ Ighedesa, ​of Watchers Outreach Ministries, both have serv​ed, and pioneered​ in many aspects ​of the Kingdom for​ over 30 years. They have preached the gospel in many parts of the world, worked ​in community services, ​teaching in the prison systems​, and missionaries and advocates ​to the indigenous in Nigeria’s overpopulated and under serviced villages​ for the last 7 years​. The love of God, and many experiences shared makes them ​a great team to “​Champion Nigeria” ​for the ​(DMM​) ‘disciple making movement​’​, in these villages, and throughout Africa.